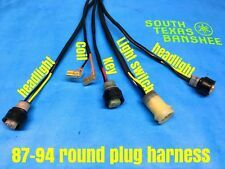 Hello my name is Kevin, I build custom Yamaha banshee wiring harnesses as well as leak testers for the Yamaha Banshee an Blaster . 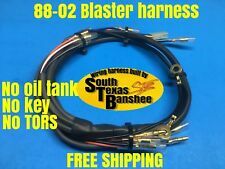 I will soon be producing Yamaha Blaster harnesses as well. Feel free to shoot me a message for more info here on E-bay or on my cell. 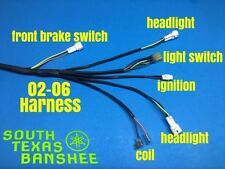 I also do "how to" videos on Youtube for the Banshee,just search South Texas Banshee. Keep in mind i do have a 5 day working time on my harnesses,I build these as they sell most of the time. I'm not able to keep alot in stock as they sell so fast. what does that mean? It simply means ebay allows me up to 5 days to get the item shipped. Q: Will Mine take that long? Answer: Not likely, most harnesses are shipped within 1-2 business days from time of purchase. Q: What can i do to find out how long before my harness ships? A:Message me,also pay attn to subtitles, If i am behind or an item is back ordered there will be lead time estimate there. If you don't see what you need please message me,i'll build it for you! 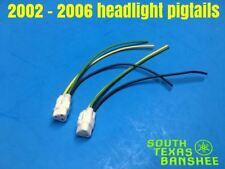 Key bypasses "Hot wire plugs"
South Texas Banshee🤙🏽🤙🏽 36-39mm leakdown test Kit. South Texas Banshee🤙🏽🤙🏽 Blaster Leakdown Tester, 26-28MM carb. 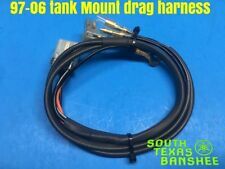 03-06 Yamaha Blaster TORS deleted wiring harness, NEW!!! SUPER CLEAN!! !